The Diyala Social Forum has begun efforts to address these pollution problems in their province. 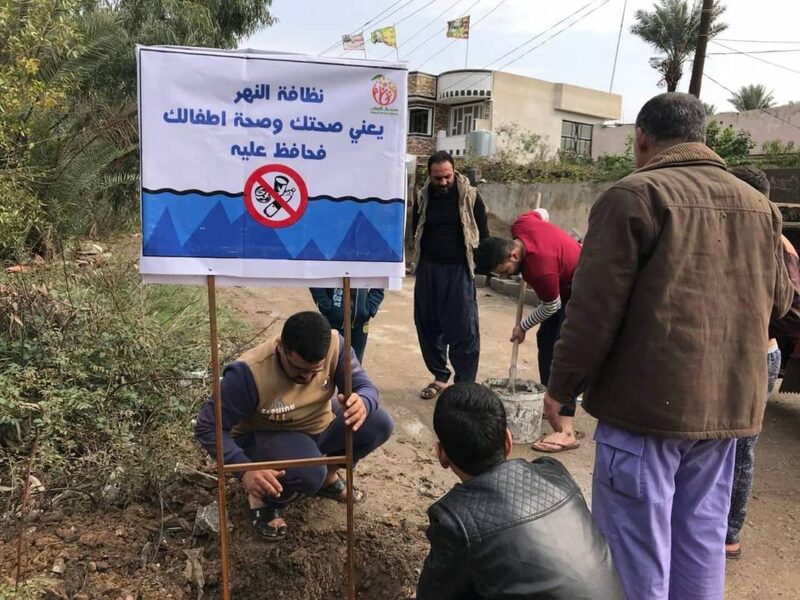 Pointing to the pollution of the Khraissan River, the Diyala Social Forum created a working group to study solutions that could be implemented to reduce this pollution. An urgent meeting was held to review opinions and plans, and to choose the best ones to implement. Iraq’s economic, political and environmental challenges are deeply interconnected. Persistent war and violence have caused poor economic conditions across Iraq, and have also negatively impacted environmental conditions in the country – specifically increased pollution of rivers, a problem local governments have not developed solutions for. Participants agreed to make public informational signs to install along the river. The signs notify and inform residents of the health dangers of throwing garbage in the river. The signs are made of metal and are 80 by 60cm2. They were installed using poles dug into the ground to ensure they remain standing as long as possible. The working group found metal workers to help make high-quality but low-costs signs. After sample signs were made, the working group eventually installed 30 informational signs across different locations as a first phase of work. The sign installations were well-received by local residents who in turn offered to assist in the volunteer work. The working group explained to residents the importance of the campaign and the broader work of the Diyala Social Forum, and highlighted the negative health effects river pollution. The working group urged residents to educate others about these negative health effects and to help raise awareness in the community on the importance of maintaining the cleanliness of the river. Another team from the Forum urged the local government to intervene to prevent health disasters that can result from this pollution. Other Forum representatives coordinated with local schools in order to use art and drawing to urge students to keep the spaces they live in as clean as possible, and to throw waste in the garbage. These efforts also encouraged students to speak with their parents about the health risks of pollution in the Khraissan River. While pleased with their efforts, the working group members have greater ambitions. Pollution is a complex challenge and requires the attention and participation of local government representatives in tackling this problem. 1. Local residents reacted positively to the environmental campaign. Residents recognized the risks environmental pollution has on basic health, and they promised to collect and dispose of waste instead of throwing it into the river. 2. Children participated in this campaign to a great and remarkable degree. Such an achievement plants the seeds of environmental solutions, and the spirit of participation and volunteer work in children. 3. 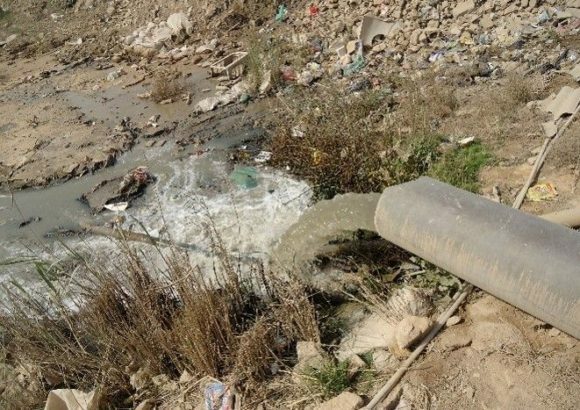 Relevant governmental bodies and agencies, including Diyala’s Environment Department, formed teams and committees to investigate pollution abuses in some areas of the Khraissan River, and to address violators in the city of Baquba.